And this really is "haute", at least when the card is lying flat, because there are so many layers of decoupage! Actually I think if I make another like this - and the Couture de Jour die cut decoupage pad has four of each design - I will just use alternate layers because the decoupage projects TOO far, even with a tiny amount of gel glue on each layer, making the card unstable and, of course, the postage expensive when the card is sent! The main motif is the die cut decoupage, mounted on a doiley. I first covered the card in pink patterned paper from the co-ordinating pad, then set a slightly smaller square of a blue patterned paper from the same pad at an angle to it, trimmed flush with the card edges and covered the join with liquid pearls. It is decorated with elements cut from several other sheets of the matching papers. A beautiful card Jane, I love all of the lovely layers. Fabulous and feminine card Jane. A pretty collage style creation for our 'Ladies only' theme at Allsorts this week, many thanks for joining in. Oh WOW!! I love this beautiful collection of amazing images, so lovely and fabulously retro. Love every single detail on this card. A beautiful card Jane, fabulous decoupage - I always decorate the inside of my cards if they are a little unstable because of all of the layers on the front. Simply fabulous and feminine, Jane! Wow! There is so much to discover in this lovely creation. I don't want to think about possible postage costs, but this would be absolutely stunning framed. Love the colours you've combined as well as the patterns. And those images...Wow! Thanks so much for joining our Watercooler Wednesday Challenge this week. Wow Jane! I adore this card and all it's lovely decoupaged layers! Thanks for linking up to our dress challenge at Shopping Our Stash! Wow Jane your collage card is beautiful. So many elements to look at in this card and so feminine. 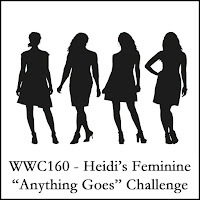 Thanks for sharing with us at the Watercooler Wednesday "Feminine" Anything Goes Challenge this week. I love this, all my fave things! I joined in too. Wow! I can just imagine how much fun this was to put together. Thanks for joining us at Watercooler Wednesday. What a pretty card!! 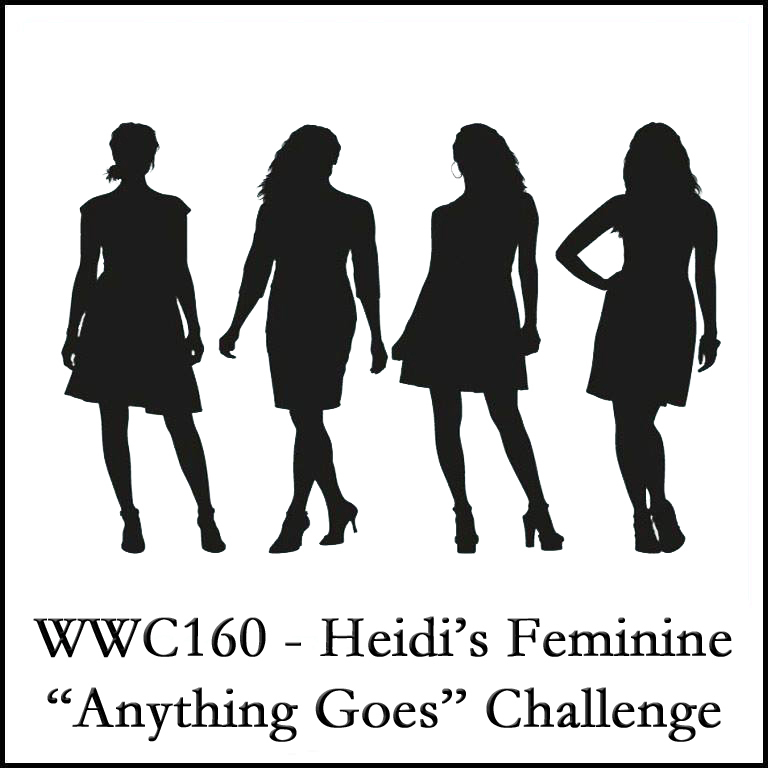 Thanks for playing along with us at Watercooler Wednesday challenge!